We’ve been asked more than once what we carried on the Fuso in its 10,000 liters of locking storage space. Since we loaded it as we built it, and started ejecting stuff off of it immediately after pulling out, we didn’t really have a good answer to that question. Until now. 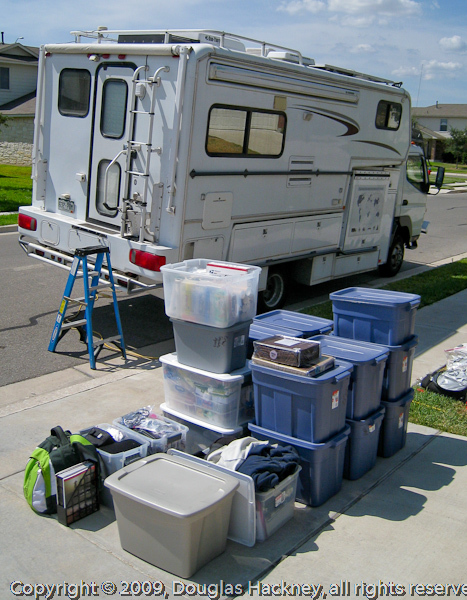 Not shown: Contents of the camper basement storage compartment / wine cellar that I forgot to unload and include in this photo, including the vise, wine, spare parts, first aid kit, etc. 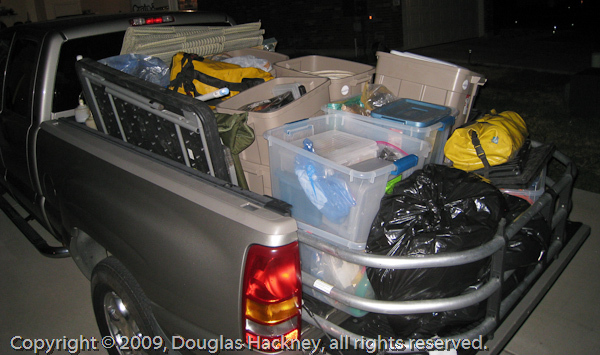 This is what the exterior stuff looked like once binned and loaded onto the pickup. This is the majority of Steph’s craft/scrapbooking/stamping supplies and tools. 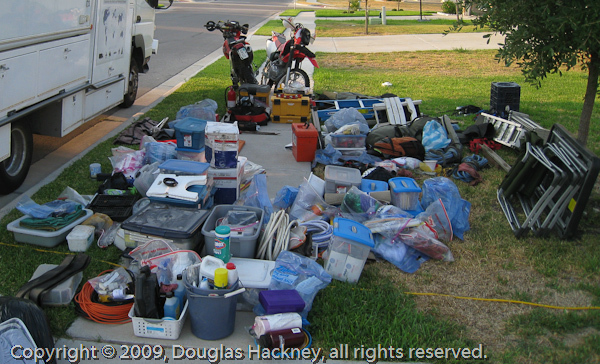 Following is the rest of the stuff stored in the camper interior. 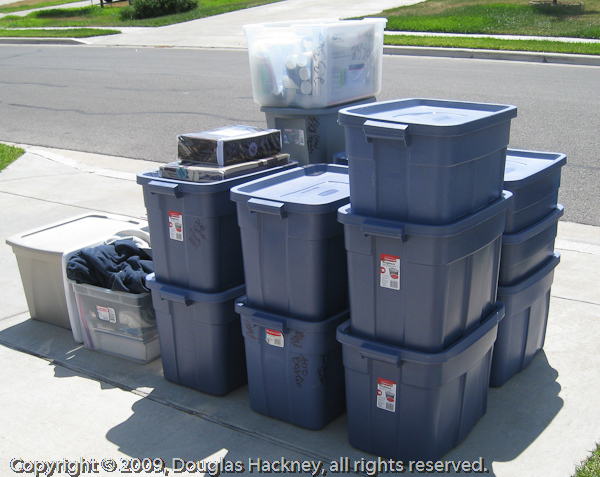 Not shown: >400 pounds / 182 kilos of stuff removed prior to shipping. 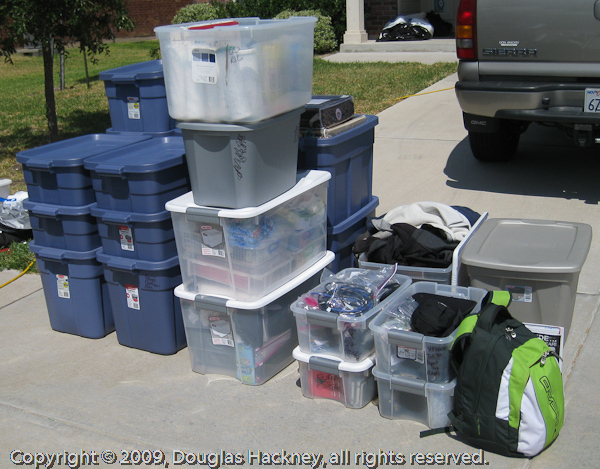 All of the stuff in these photos, exterior and interior storage, weighed almost exactly 3,000 pounds / 1,361 kilos. 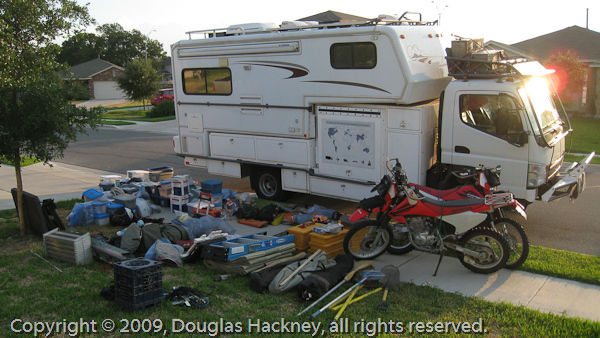 And keep in mind that we’ve been removing things from the truck since a few weeks after we began our journey in June of 2007, including more than 800 pounds / 363 kilos of stuff we removed in January 2009 while in Ecuador that we hadn’t touched in 18 months of full time living in the rig. Stuff. We have seen the enemy and the enemy is us.